If you must cancel, please do so no later than 72 hours (3 days) before the event. 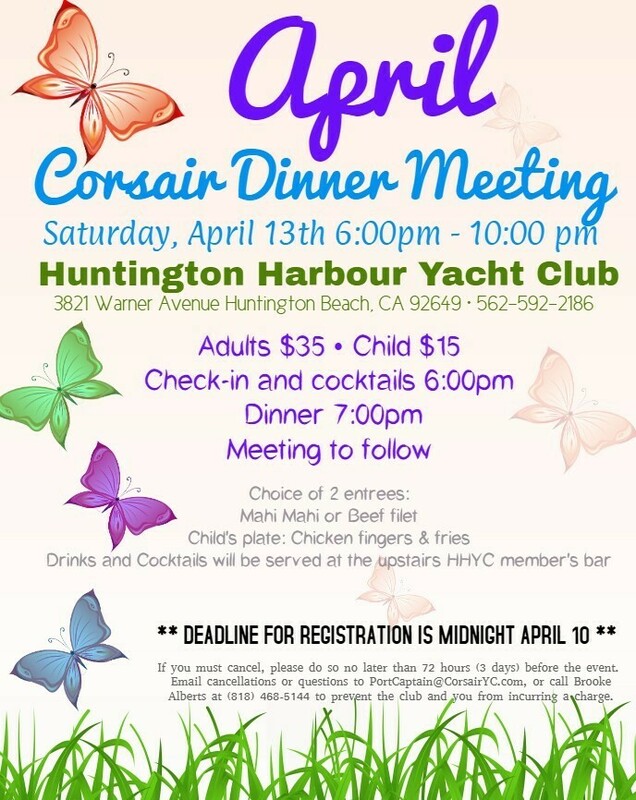 Email cancellations to PortCaptain@CorsairYC.com, or call Brooke Alberts at (818) 468-5144 to prevent the club and you from incurring a charge. All meals include a cheese tray appetizer, salad, dinner roll & butter, cheesecake dessert and complimentary coffee. Board Meeting will start at 5:00pm.